This generous bag of gold beads features beads in various sizes and shapes. Ideal for a number of crafting or beading projects, these gold beads add a bright and dramatic element to any project. 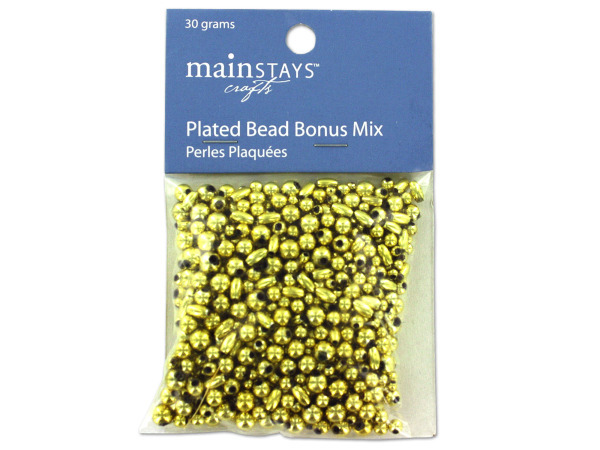 This plated bead bonus mix contains 30 grams of beads.